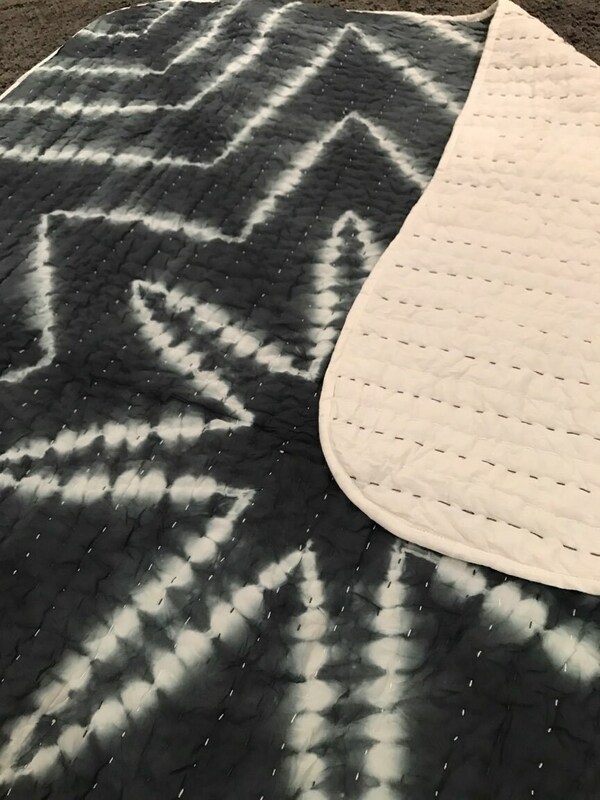 Lovingly Handmade and 100% Organic Cotton - New with added extra thickness. 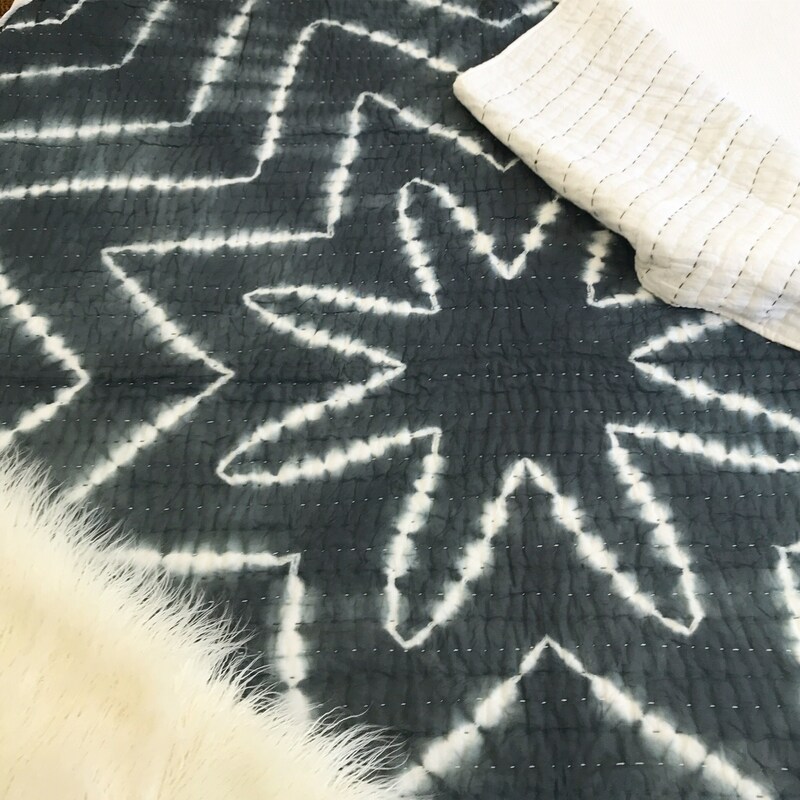 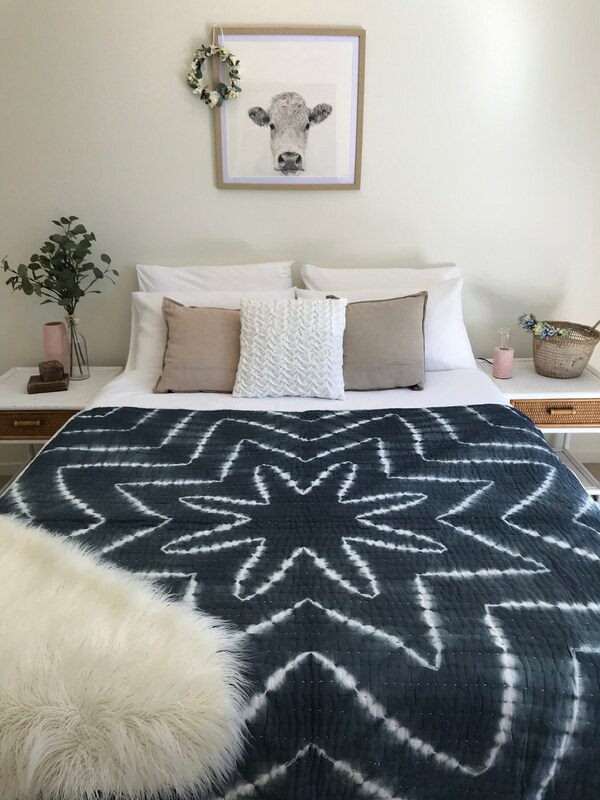 This Kantha Throw is unique to The Throw Co. Our newest style features the beautiful Dark Grey / Gray Blue in a striking Star Tie Dye pattern. 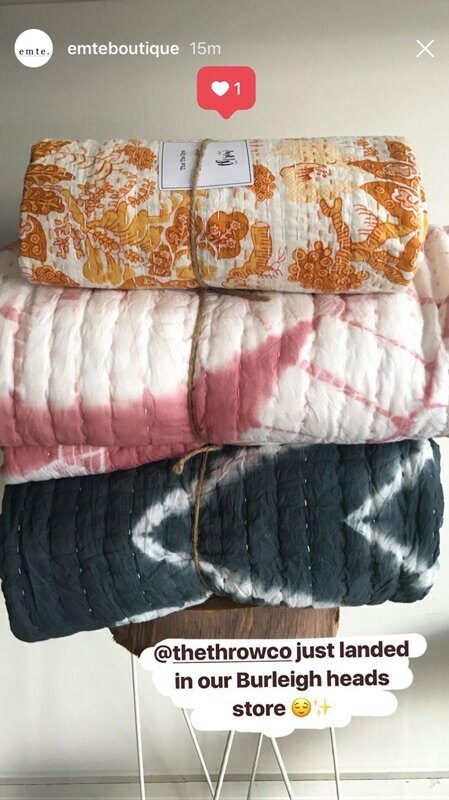 The traditional Kantha stitching runs throughout over the slight padding which creates a lovely soft textures effect. 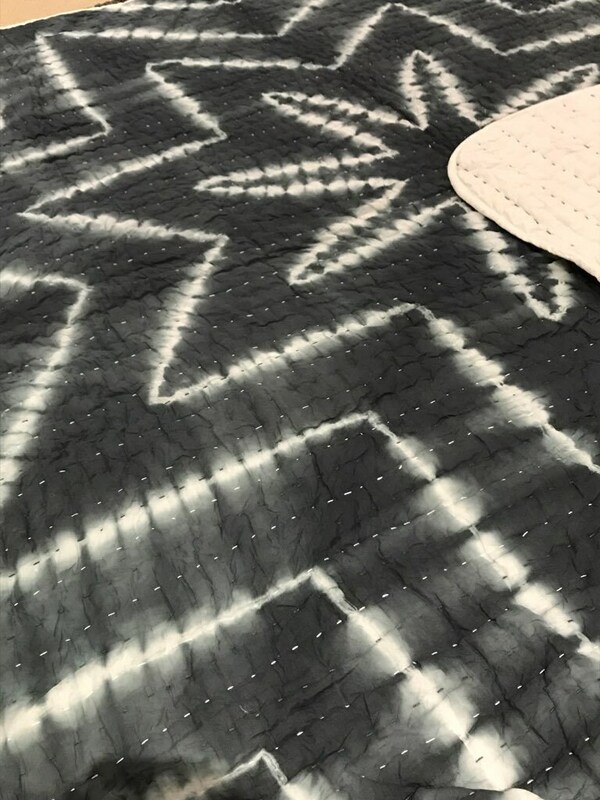 All throws and patterns vary, based on the fact this is a beautifully hand-dyed and handmade product. 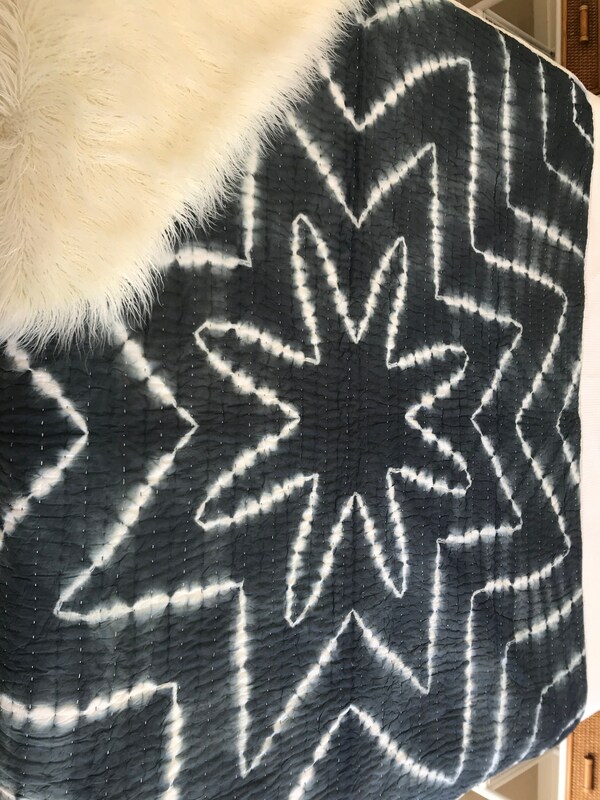 This throw is a gorgeous addition to any home.